Summer days on the lawn in the teepee. Toys, snacks and a sleepy pup. Gorgeous pics. It's a dog's life, that's for sure. Oh Michelle, I love that teepee! Do you know the brand? It looks a bit bigger than ones I have seen before. Our yard is too small for a cubie (sad but true) and my son really wants one. He calls it 'a place to daydream' With a new lawn just weeks away, this could be a good solution. It is the perfect place to dream. 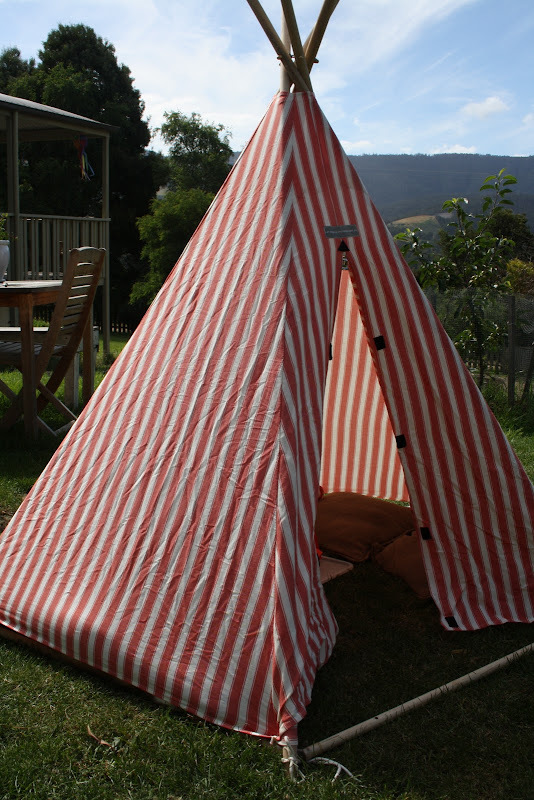 we have that exact teepee, don't you love it?